Nefarious obstructions to scientific goals include both dishonorable and illegal activities. Current laws, studies, and news reports reveal fraudulent concealment of hazardous waste, inappropriate influence by private corporate powers, and disinformation from corporate non-profit front groups and public relations firms. These miscreant activities prevent and discourage science that is needed to avoid chemical injuries through reduced exposures, regulation of dangerous products, and assessment of liability. Full disclosure will allow objective scientific inquiry without corruption by conflicted interests. Scientists may then advocate precautionary principles that will protect health and environment and allow long denied assistance and treatment for the chemically injured. However, the EPA was unable to identify which pesticides or other commodities used hazardous waste in their products. Fifteen years later these questions are still unanswered despite requests for production in civil lawsuits, subsequent FOIAs to various federal agencies, and despite the fact that some of the pesticides are now banned. These chemicals continue to injure and disable millions of people of all ages yet information on their provenance, content and contaminants remains a fraudulently concealed secret. When secrets involving the contents of chemicals as well as studies that illustrate chemical injuries are kept from scientific investigators the task of discovering causal links and cures for injuries becomes all but impossible. 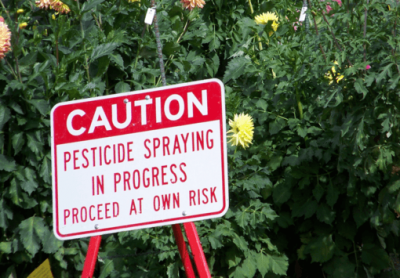 Repeal of “Confidential Business Information” laws that prevent investigators from discovering the complete contents of pesticides and other toxic products as well as “inert” and active ingredient suppliers. Modern reverse engineering allows disclosure of contents to all competitors; therefore information is only kept from investigators and victims of corporate injury. Confidential Business Information laws prevent physicians, scientists and attorneys from learning the full truth about toxic products and those responsible for injuries. Prohibitions against conflicts of interest in scientific studies, on scientific and regulatory boards, and in educational settings. Scientific investigation must be based on unbiased truth. Elizabeth M. T. O’Nan is director of Protect All Children’s Environment. 1. Environmental Protection Agency, Freedom of Information response to Rep. James Clark, Dec. 11, 1990, document number 10F8. 2. Hana, Sarah, report to the 72nd Legislature of the State of Texas, August 1991, “Agricultural and Rural Impacts of Uranium Recovery Activities in the South Texas Uranium district. 3. Environmental Protection Agency memo from Amy Rispin to Tina Levin, Ph.D, Registration Division, included with letter dated Nov. 9, 1992 to E.M.T. O’Nan de Iglesias. 4. Helm, Andrea, Green Line, June 1991, Vol. IV, No. 9, “EPA waste policy threatens health”. 5. Carson, Rachel, “Silent Spring”, 1962, Fawcett Crest Books. 7. Lieberman, Trudy “Bitter Pill”, Columbia Journalism Review, July/August 2005. 8. Wilkenfeld, Irene, Comments on Agency for Toxic Substances and Disease Registry’s (ATSDR) Interagency Workgroup Draft Report on MCS, September 15, 1998. 10. McCambell, Ann, 2001, “Multiple Chemical SensitivitiesUnder Siege”, Townsend Letter for Doctors and Patients, issue 210.